“Let your women keep silence in the churches: for it is not permitted unto them to speak; but they are commanded to be under obedience, as also saith the law. And if they will learn any thing, let them ask their husbands at home: for it is a shame for women to speak in the church” (1 Corinthians 14:34, 35). “Let the woman learn in silence with all subjection. But I suffer not a woman to teach, nor to usurp authority over the man, but to be in silence. For Adam was first formed, then Eve. And Adam was not deceived, but the woman being deceived was in the transgression” (2 Timothy 2:11, 12). Paige: I’ve heard this argument before. The problem is, if the things that Paul wrote were “only” for “those people,” why even bother reading his letters? Either the Bible is inerrant and unchanging, applying for all time, or it’s not. It cannot be both. Ronda: Exactly! I was thinking along these same lines yesterday, especially after Lori made a post that many try to change the meaning of verses that pertain to women but not verses that deal with men. They are constantly digging into the “original” Greek words in the verses they do not like to find something to change the meaning to suit what they and our current culture want to hear. If we cannot trust that the translators wrote what they knew God was saying about women, how can we trust that any of the Bible was translated correctly? Lydia: What these women don’t understand is that being able to be in church learning quietly (like the men were doing themselves at the time) was a huge thing. Up to that point, women did not learn in the temple at all; the men did! It’s not a bad thing at all but a blessing and when we see how quickly women turn contentious over little things, being quiet is also a wise thing sometimes. Thanks for posting so faithfully, Lori! I’ve been reading them, but not making the time to comment as much lately. Today’s post, however, made me think of James 1:19 “…let every man be swift to hear, slow to speak, slow to wrath.” I’ve been noticing how quickly those that oppose your posts are hasty and rash to let you know. Many of them have a contentious, angry spirit as well. I pray God matures us and works within us to produce meekness and quietness. As you often say, Lori, the Lord’s ways are beautiful and best for us! Thank you, Holly! Yes, we must “learn to be quiet” as the Apostle Paul admonishes us to do. It’s a quality that we should seek after and discipline ourselves for. There is much benefit to God’s beautiful ways! I have some questions for you. Do you believe that God values women? Why did you think God created women? Should I, as a woman have any voice in society or in the church? Do you think that women should be voting? What about Deborah, she was a judge in Isreal so she was teaching men and therefore had a voice in their society. What about the many different women prophets in Isreal? Of course, God values women! He died for them and paid the price for their sin as much as He did for men. His original design for creating woman was to be a help meet to her husband. Read Genesis 2:18. Jesus was born of a woman and God gave them the huge responsibility of bringing children into the world and raising godly offspring if they are able. What can be more important than raising the next generation? Your voice in society should be to speak the truth in love; for this is what we are called to do, not demand “our rights” as many are doing today. Since we have the right to vote, yes, we vote if we want to but it’s not this magnificent thing that women make it out to be since women overwhelmingly vote for the rights to abortion, free health care, bigger government, etc. They have made the government their husband instead of depending upon husbands which is “sinful” in their eyes. I wouldn’t mind at all if women didn’t vote! I don’t mind men being the ones in authority in the government or churches since this is the way God designed for it to be. Men typically have long-term vision and women have short-term which is highly destructive. Deborah lived in the Old Testament times. She wasn’t in the Church age under which we presently live, therefore, she wasn’t under the commands concerning the churches. Plus, she wasn’t preaching/teaching in churches nor in authority over men in the churches. This is a straw man argument that many use to disqualify the clear commands that were written by Paul. “I wouldn’t mind at all if women didn’t vote!” Me neither. I think women are often quite short-sighted about the impact of the politicians they vote for and the effect the policies of those politicians will have for many years down the road. This is one of the main reasons government has become so bloated since woman’s suffrage occurred nearly a century ago. Consideration of the latter end is essential. This passage clearly tells us that this is not a limited command for a certain culture since Paul appeals to the created order to support his teaching. Women are not to teach men because men were made first and the woman was created for the man, not the other way around. That applies to all humans everywhere, not just a certain culture. Thank you for the post, Lori. I read the Bible and follow our church teaching. Can you help me reconcile 1 Corinthians 14: 34 – 35 with 1 Corinthians 11 : 5 because the latter recognizes women praying and prophesying as long as their heads are covered. Our church allow women to pray and sing in church and used to require women to wear veils but stopped this requirement in recent years. Does that mean women should wear veils in church if they pray? Thank you. “31 For ye may all prophesy one by one, that all may learn, and all may be comforted. The Apostle Paul made it very clear that women can prophesy (edify, exhort, and comfort – 1 Cor. 14:3) outside of the church service and to other women while “covered,” but not inside of the church service. In what way is the woman then “covered” as you state in the last sentence? Does this mean she needs a head covering for outside the church if she prophesies, exhorts or comforts? Thanks. Her long hair is her covering according to 1 Cor. 11:15. I agree completely with your teachings on women according to God’s Word. I do have a question though which I would like your thoughts on. I understand about women are not to preach or teach men but may women stand up and give their testimony or tell of what God has done in their lives that week? Can a women stand up and give out information such as a get together for the church members, or information on signing up for activities, etc.? I used to go to a fellowship where a man wouldn’t even let his wife sing hymns along with everyone else. I know one can be quite extreme in just about any belief, but where does one draw the line? Thank you for always standing for the truth and not backing down. I look forward to all your articles. The Lord bless and keep you. I prefer to take the Bible (the instructions to the Church in the New Covenant) as literally as possible (without becoming legalistic) instead of as liberally as possible, as most seem to do today. We absolutely can sing and praise the Lord with the congregation. If there is a time of “meet and greet,” we are free to meet and greet with fellow believers. Besides these things, I personally feel most comfortable being quiet. I have no problems with this! We visited Michael Pearl’s church years ago and if a wife had a testimony to give, their husbands gave it. They take the verse that women are to remain silent and it is shameful for them to speak very seriously. Why can’t men give the announcements? Why can’t they do all of the praying? Why can’t they lead all of the singing? I believe all of these should be done by men but this could be an area of legalism. I am not sure but as I stated, I would rather error on the side of taking the Word literally than liberally. It depends upon the male leadership of the churches how they handle these verses but sadly, many seem to be fine with women standing behind a pulpit and preaching/teaching to the congregation. There seems to be a great fear of women or a great influence of feminism in the churches. We are part of a fellowship where the women stay quiet in all parts of service although we enjoy participating in congregational singing. Men give the announcements, testimonies are not usually shared to the whole congregation by anyone, man or woman. It’s really not that big of a deal. No one treats the women worse (we’re wives and mothers, beloved sisters). There are 168 hours in each week so not teaching or leading for an hour or two each week is NO big deal at all (unless there is ego involved). When we visited the Pearls church that was similar to this, I sure didn’t feel any less worthy or of value by being silent. I actually enjoyed it because I know God’s ways are far superior to man’s ways. He has a purpose for everything and He is good. The argument that this was just for THAT church at THAT time is indeed a weak one. Paul tells us himself in the beginning of the letter, who he is writing to. (1 Corinthians 1:2) – “To the church of God which is at Corinth, to those who have been sanctified in Christ Jesus, saints by calling, with all who in every place call on the name of our Lord Jesus Christ, their Lord and ours:”. Paul clearly says that he is writing this letter not only to the church in Corinth, but also to “all who in every place call on the name of the Lord…”. 31For you can all prophesy one by one, so that all may learn and all be encouraged, 32and the spirits of prophets are subject to prophets. 33For God is not a God of confusion but of peace. I made a handwritten post just yesterday with these same verses which clearly show that women are not to prophesy in the churches but be silent. I posted it on Facebook! So encouraging of the right spirit and practice Lori! In these evil days it is so important for us not to give into what is popular but to hold what is right. My husband has been meeting with other like-minded men for fellowship and they are praying for direction in to assemble a fellowship where husbands and fathers gather, then take the teaching home to their individual families. 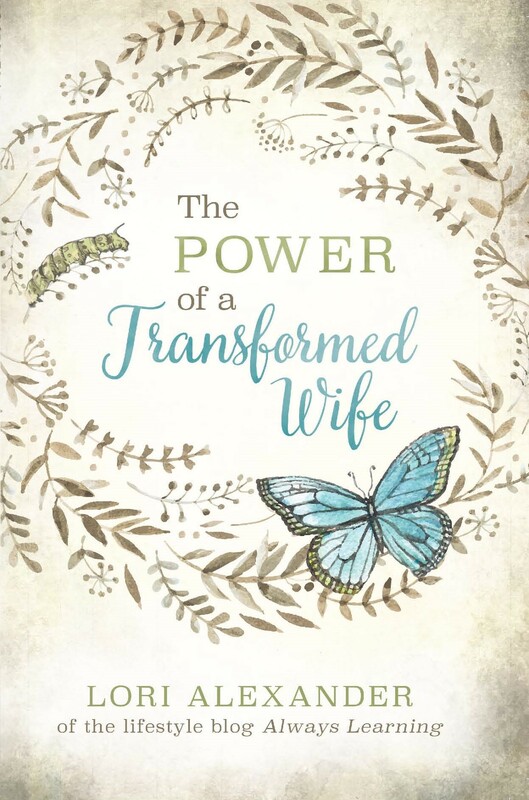 The husband is more firmly in the proper place of headship over the spiritual life of his family – we will await his instruction and worship as a family privately. I am very excited about how this can bring us closer as a family and how God will work through my husband to instruct correct and edify! It’s good to consider if a “men only” church gathering is necessary, right, and more pleasing to God. Would the Lord instruct women to be “silent in the churches” if He didn’t intend for us to be there at all? There are many things we can take too far, although meaning well. For example, if we’re afraid we might become gluttonous, we would almost forbid food. But God has given us food to enjoy. If we are (overly) afraid of causing men to lust, we can dress in ugly old clothes and be unkept so that there is nothing beautiful about us. But God has even clothed flowers beautifully. The one woman said Paul’s words were cultural – for that time only. She said Paul gave those commands (for women to be silent in the church) because women were unruly and loud at that time, in those services. Where does she get that from? Paul did not say that. So, what source says Paul gave those commands because women, in that time, in those services, were unruly and loud? I have searched and cannot find any source that says this was the case. Does anyone know of a source that says this? It’s a made up source so women can be preachers. What about single or widowed women who have no husbands? What do they do? Ask the older, godly women in the church. It’s refreshing to read things like these and know that there are other Christian women reading the Scriptures in order to be obedient to them according to what they actually teach, rather than trying to get around them. I do wish the brothers feared God more than they apparently fear women. If a pastor of most churches were to announce to his congregation that he was going to insist on this command of the Lord for women to keep silent in the church assemblies, he would probably lose the majority of his congregation. 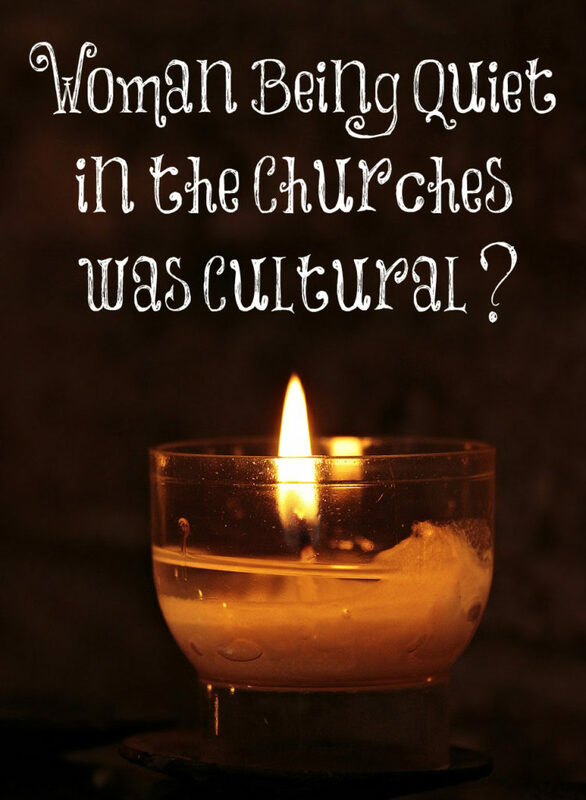 Christians, in general, are far too influenced by the surrounding culture. They try to interpret the Scriptures to fit in with the ideas and ideals of the culture (to please themselves) rather than conforming to the will and command of God (to please Him—which is impossible to do without obeying Him). As a result, their minds don’t get renewed as they would if they obeyed the truth. Who said that Christians are supposed to do everything that the world does or deems acceptable, correct or noble? I see the very opposite taught in the New Testament: Separation from the world (which follows the deceiver and is in rebellion against God) by the renewing of the mind and by holiness of life—both of which depend upon applying the truth of Scripture to our lives, rather than exegeting it away. When we deal deceitfully with the word of God, it’s not as if God doesn’t know what we’re doing and why. God has His own rules for His people, and the world has its rules for its people, and it is God’s rules for Christians that Christians are supposed to be living by, regardless of what the world says and does or how the culture changes. As for all of the various activities or ministries that Christian women may be engaged in which require their violating the New Testament’s commands for women and for wives, and the men who approve of them doing this, and who encourage it—believing that the end justifies the means—they would do well to remember what Samuel said to King Saul in 1 Samuel 15:22,23.